If you seek knowledgeable and experienced legal advice and representation without paying the high fees associated with a large law firm, Mee Mee Hoge and Epperson PLLP, is the firm you are looking for to meet your needs. Our firm offers the experience and name recognition of a large firm, and the personalized client services typically found at a small firm. At Mee Mee Hoge & Epperson PLLP, you will never be treated as a case file number to be filed away or later referred to another firm. By paying close attention to the individualized needs of our clients, our attorneys have established a reputation for excellence and responsiveness. We know that a legal problem in one area of the law often relates to other legal needs. We take a comprehensive approach to providing intelligent advice and representation, focused on resolving problems, rather than inflating them. By fostering long-term relationships and having your lawyer work directly with you, we are able to make all of the legal pieces fit. 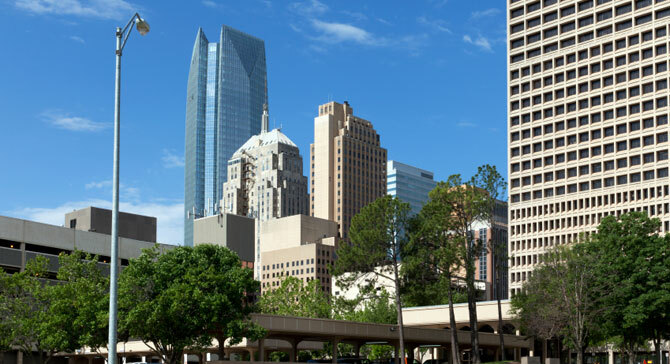 From our offices in Oklahoma City, Oklahoma, we provide a complete range of business, creditor bankruptcy, real estate, and estate law services for individuals and business owners in Oklahoma, Texas, Arkansas, and nationwide. We go above and beyond in with our various nationwide business lawyer services.